No surprise, the beneficiaries here will be autonomous cars. While Uber fights off serious charges claiming that it paid off hackers to get rid of personal information stolen about its drivers and possibly even its customers, it’s also on a mission to beat the competition with innovation. 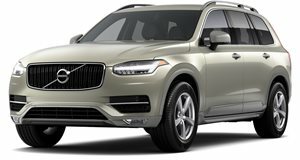 And given that the company is standardizing the means it uses to shuttle customers about with a deal to purchase thousands of XC90s from Volvo, Uber will have more control over the ride experience than ever before. Free gum from outstanding drivers and the ability to link music to the car’s sound system are no longer the only means it’ll employ to satisfy customers. A report by The Guardian outlines a patent submitted by the rideshare giant that could eliminate motion sickness altogether. That way passengers can stare at their phones, work, or rest their eyes without feeling woozy and risking having to pay an expensive biohazard fee. The patent itself describes various methods that technology can be used to trick the human mind into thinking it’s on a stable surface, but they will be employed specifically on Uber’s fleet of autonomous cars. What's the overall aim? To allow riders to focus on tasks without having to look at the road. “With the advent of autonomous vehicle technology, rider attention may be focused on alternative activities, such as work, socializing, reading, writing, task-based activities and the like,” Uber says in the patent. “As the autonomous vehicle travels along an inputted route, kinetosis (motion sickness) can result from the perception of motion by a rider not corresponding to the rider’s vestibular [balance and spatial orientation] senses.” Sensory stimuli will come from vibrating motorized seats that can sway with the motions of the car and by flows of air that target the body and give the rider the sense that they aren't moving. No technology that distracts the brain is entirely off the table, not even flashing lights on the interior. “Stimulation can train the sensory responses of riders to prevent kinetosis due to uncorrelated vestibular visual perception,” says Uber. If anything, the patent gives us a glimpse into the more subtle ways autonomous cars will change the way we experience the road.